This week, a Concerned Citizen caught up with—erm, Mr. Fe Made—the imaginary Special Adviser on Media and Publicity to the Nigerian President, for an imaginary interview. Here, Mr. Fe Made shares imaginary opinions on the Nigerian political scene and the challenges of publicising a very reticent president. Concerned Citizen: So, Mr. Fe Made, do you really think President Buhari has had an effect on the Nigerian condition so far? Fe Made: This question is unnecessary. Observe the president’s poise and calm. Don’t you see the sincerity oozing out of his every pore? Mama mia! How can you even ask such a question? As Marcus Aurelius says in Meditations “Waste no more time arguing about what a good person should be. Be one!” O pari. Shikena. Okwu agwu. Finito. Concerned Citizen: I appreciate your enthusiasm, sir. In fact, I also voted for President Buhari and I eagerly anticipate change. But, surely, as a national spokesperson, you should be able to explain some tangible policies of government to us ordinary Nigerians. We’re just eager to know what to expect. Fe Made: There is no mystery here. We have a new sheriff in town and he has come to stamp his authority on the situation by sheer force of personality and presence. This is all that matters to the ordinary Nigerian. Concerned Citizen: I’m not so sure, sir. Considering that the President’s personality cannot survive the office, shouldn’t the government pursue a more lasting methodology? Fe Made: The methodology is very clear: some call it the Buhari Bounce. Others describe it as the Buhari Effect. Yet some others say it is the Buhari Aura. The important thing is that there is a Buhari Method. Concerned Citizen: In that case, won’t the later appointment of Ministers affect or conflict with the Buhari Method? Especially if you consider that there are no clear policies statements on the Buhari Bounce? Fe Made: This is not possible. The Buhari Aura ensures that only people who share the ideals of the Buhari Method will get into public office. Concerned Citizen: And what do you think of those who say the president ought to have, you know, hit the ground running? Fe Made: When you hit the ground, and you land in mud, how do you begin to run immediately? You can only sink deeper if you attempt to run. The thing to do is to first clear the mud, till you get to terra firma, and then you can begin to run. Concerned Citizen: I am confused, sir. Is the Buhari Bounce not enough to scale the mud on the ground so that we can immediately have the Buhari Moving? Fe Made: There is nothing to be confused about. We have the Buhari Bounce on one hand. And then we have the Buhari Sprint on another hand. The strength of the Buhari Bounce is what will determine the intensity of the Buhari Sprint. All of this will eventually translate into the Buhari Kicking. Concerned Citizen: I understand this to mean we will have two levels of change: change by the sheer force of the Buhari Aura and, afterwards, change by policies implemented through the Buhari Method. But for now, while the policies are being formulated, we can rely on the Buhari Chilling. Concerned Citizen: So can you tell us some areas that have seen change through the Buhari Effect? Fe Made: Electricity has climbed to about 5,000 Megawatts. Some refineries, which had not produced a drop of fuel for years, have cracked into life. Even the perennial queues in our petrol stations have disappeared, vanished. Those things simply responded to the presence of the new sheriff in town. Concerned Citizen: This is all very amazing. But will the Buhari Bounce influence the core aspects of anti-corruption? For example, while it may make some civil servants sit-up, is it enough to control the established politicians who run the political party systems? Fe Made: Publicly funded politicians may plague a party, but unless Buhari works with all sorts, power will have evaded him like a pie in the sky. See, there is no romance without finance. But does associating with corrupt people necessarily mean you get contaminated? Only if you are not your own person! President Buhari is a geometric expert—he knows where to draw the line. Concerned Citizen: That is a very encouraging insight into the Buhari Stand, sir. Some people have suggested that the president should make a decisive statement on corruption by instantly ordering the police to investigate his own political associates? Fe Made: These are not the killing fields of Kigali. Think, Nigeria, think! The president cannot act like a dictator. He has to follow the proper processes. He cannot just march into town with guns blazing, shooting malefactors to kingdom come. Concerned Citizen: That would be very bloody, indeed. But isn’t that the responsibility of a new sheriff? Fe Made: Yes. That’s part of the Buhari Mantra and you will see its fruits very soon. But sincere Nigerians trust the president. These questions are from some those determined to undermine the administration with their loud lamentations. They are the insincere ones, scoffers, naysayer, only hoping to see failure. They can’t wait to turn up their noses in derision, hopping from one leg to the other, and declaring: “We said it! The change they preached was just a mantra. It’s 100 days. It’s six months. It’s one year, two years, three years. Where is the change?”. Concerned Citizen: Does the Buhari Mantra include any steps to unify the emotions of the country, considering also that political appointments so far seem to be rather skewed in the favour of his loyal Northern colleagues? Fe Made: President Buhari got a national mandate. He has a national agenda, none other. He has said he belongs to nobody and he belongs to everybody. No cause for alarm except for those who are in the grip of relentless hatred, consumed by paroxysms of bitterness, grudge and acidity. The wailing wailers. Concerned Citizen: I’m not sure I agree with this, sir. After all, there are about 13 million Nigerians who chose to vote for other candidates in the election. Certainly, criticisms from that quarter should be taken seriously? Fe Made: Nonsense. These criticisms are not from ordinary Nigerians. They are from the wailing wailers. The chatterboxes of Chatham House. Concerned Citizen: You keep referring to these wailing wailers. Who do you mean? Fe Made: Don’t even get me started. These people are the hoisters of hubris. Proud. Arrogant. Insufferable. Conceited. The retrogrades of reversed rhyming. Concerned Citizen: You really like these funky expressions: I’m not even sure I understand that last sentence. But, these people that really seem to piss you off, who are they, exactly?? Fe Made: Who else? They are the infestations of my social media accounts. Thriving in clouds of cantankerous comments and vales of vile views. They are the political commentators on Nigerian twitter. They have made my daytime a nightmare and my nighttime a hell. These days I become terrified just to sign into my account. Everything I tweet is a problem to them. And even when I am silent, that is a problem too. I have come to the conclusion that Nigerian Twitter is the real opposition party. The PDP is small potatoes compared to this Twitter Party. Nothing can content Nigerian political Twitter. Facebook people are more manageable, but Twitter people are horrible. Their attention span is nil. Like a child, they always look for the next gratification. They await the next scandal, headline, opinion, or trend just to gnaw at it and pass on their half-baked opinions. If the president makes no appointment, they will complain. When he does, they will say it doesn’t match federal character. If he picks from the South-East, they will say the person is not a true Igbo. If he picks from the South-West, they will say the president is repaying Tinubu. How can you satisfy such a lot? The problems of these twitter people are more than the problems of Nigeria. Concerned Citizen: I am so sorry to hear that, why not simply delete your twitter account? This is possible, right? Fe Made: Oh, but they planned their siege very well. Before President Buhari even mounted the podium to be sworn in, these twitter people had created and verified accounts for the presidency, for Aso Rock, for his wife. They even created one for his daughter. We had to start shutting down some accounts. But the damage was done. It was too late to back out of social media. So, close but no cigar. We were surrounded. Remember Naboth in the Bible? We had been set up by the Jezebels. Like Ceasar, I found myself in the midst of enemies we called friends. E tu @Rosanwo? E tu @DoubleEph? We have been fixed, it is too late to back out. Just like the way they circulated this 100 days covenant, we found ourselves saddled with social media expectations we did not anticipate. Such insidious incapacitation. Concerned Citizen: Wow! This is horrible. But isn’t social media a vital tool in modern politics? Why not simply take time to explain the Buhari Method to these people? Fe Made: It seems you are one of the wailing wailers. Can you compare our level of technological development with that of developed democracies? Just because some Nigerians have access to the Internet doesn’t mean all of Nigeria is online. Up to 70% of Nigerians are still battling poverty. But these wailers would not allow us some breathing space. They expect to be pampered and breastfed with each passing news or opinion while ignoring the majority of Nigerians. But we shall not allow them to distract our mission. Concerned Citizen: If you don’t want to delete your account, you can, at least, detach yourself from—. Fe Made: Hang on! To all the satirical saboteurs, barricade-mounters and wailing wailers, hear this: we shall not fail. There’s an ace up our sleeves, things are in the bag, we will bring the house down, we will turn up trumps, we have a foot in the door and we are on course for success, this is a dead cert—uphill all the way, we are off to a flying start and coming out with flying colours, we’ve come a long way and we’re making headway, we’re riding high and the sky’s the limit—. Concerned Citizen: Mr. Fe Made, thanks for the idioms but—. Fe Made: I am not done! They may try to throw a spanner in the works but they can’t run rings around us, even when things lead to a dead end, we’ll live to fight another day, this is no flash in the pan and we won’t be going up in smoke, victory is assured even in the face of defeat, we won’t fall at first hurdle even if the dice are loaded. We—. Concerned Citizen: But can you just give us an insight into these plans that you intend to succeed at? Really, just give us a clue. Is the president a believer in market economics? What land, labour and tax reforms can we look forward to? How about constitutional reforms—particularly in resource control, the independence of states, and the revocation of the immunity clause? What impact does the delisting of Nigerian bonds by JP Morgan have on the policy goals? Are there even any measurable policy goals? Please, just let us know what policy direction to expect, you know, apart from “anti-corruption”, free meals projects and defeating Boko Haram. Fe Made: You are definitely a wailer! All these requests for policy, policy, policy! Can’t you have some faith in the Buhari Effect like normal Nigerians? You concerned Nigerians are the worst. You want the truth? There is no policy! I don’t know! Concerned Citizen: You don’t know? Fe Made: Look, I don’t know! You will just have to wait for the president to explain himself when he is ready. Concerned Citizen: Isn’t that supposed to be your job? Discuss with the president and communicate to us? Fe Made: The president doesn’t discuss anything with anybody. Still waters run deep. Concerned Citizen: This, I believe, is what is called the Buhari Suspense. So, if the president doesn’t say much, how can you and other members of the media team do your job? Fe Made: The media team understands the president. We observe his poise and calm, among other things, and we communicate our observations to the public. We even have some dedicated people on twitter: helping to explain all of the president’s motions. Concerned Citizen: This is the Buhari Body Language, right? Fe Made: That too! Body language, body language, body language! Damn. You have to make a mountain of every molecular phrase. And you wonder why I’ve been praising the attractions of Ghana. Some of you Nigerians are so unbelievably stressful! I will recommend the words of William Shakespeare in Richard III: “Out of my sight! Thou dost infect mine eyes!” Damn. Life is too short, man. This is not what I signed up for! 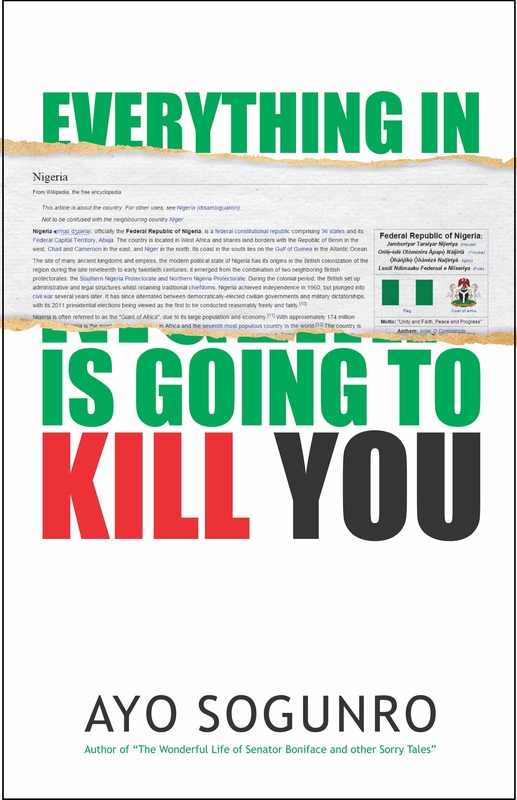 Ayo Sogunro is the author of, most recently, Everything in Nigeria is Going to Kill You. A lawyer by profession, he also indulges in socio-legal and sociopolitical thoughts on ayosogunro.com. Interact with him on Twitter via @ayosogunro. Tags: 2015 elections, Boko Haram, Buhari, concerned citizen, corruption, facebook, Femi Adesina, humour, interview, Nigerians, political science, satire, social criticism, social media, sociology, twitter. Bookmark the permalink. It’s so unfortunate that this man hired to do the job of making people understand this Administration (read President) does not understand the work he’s been hired to do. His continued flaws and gaffes would cost this administration its image. What happened to the team who did the work during the campaign?